Want to learn how to draw matching eyes? A common problem that a lot of people have is that they can get one eye looking good, but then when they need to create the other eye, they can’t seem to get them to match. The solution to this is to draw both eyes at the same time without getting too detailed on one eye. Learning how to draw matching eyes if a whole lot easier if you just do a little measuring first. 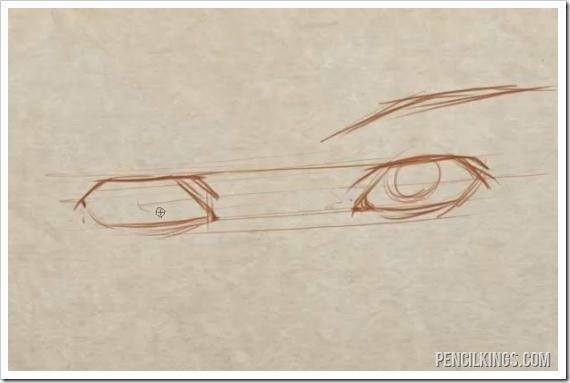 To start off, just draw one eye, and then measure the width of that eye. Remember that there is one eye spacing in the middle of the head between the two eyes, so add a space equal to the first eye and then add in then begin to draw the second eye using the same width again. If you feel the need to use a ruler because you are just starting out with drawing the face, that is ok, but as your skills continue to develop, try to work on judging these distances without a ruler. This will end up saving you a lot of time in the future. In addition to measuring the width, you can draw horizontal lines to match the height of the eyes, as well as the height of the outermost point of the eye where the upper and lower eyelids meet. If you are drawing digitally you may feel the urge to just copy one eye and flip it over. This is a quick and easy way to get an exact copy of the eye, but you will probably want to adjust the second eye slightly to get some small differences in it. Better than copying however, is that you work on your weakness and just keep practicing matching the different eyes because this will build up your skills not only in drawing the eyes, but matching any kind of symmetrical object or parts of the face. Once you are finished, you can erase the construction lines that you created to match the height and width measurements. 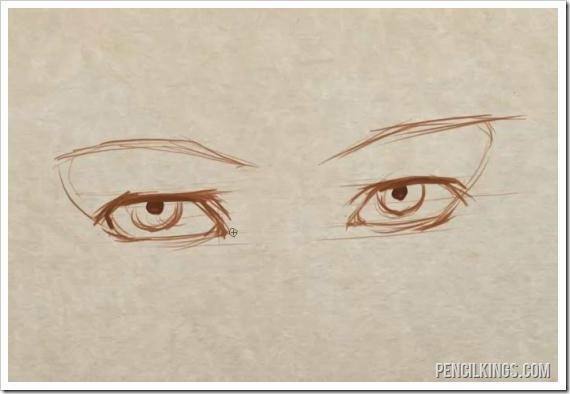 We hope you learned a lot from this article on how to draw matching eyes. Stay tuned for the next lesson!